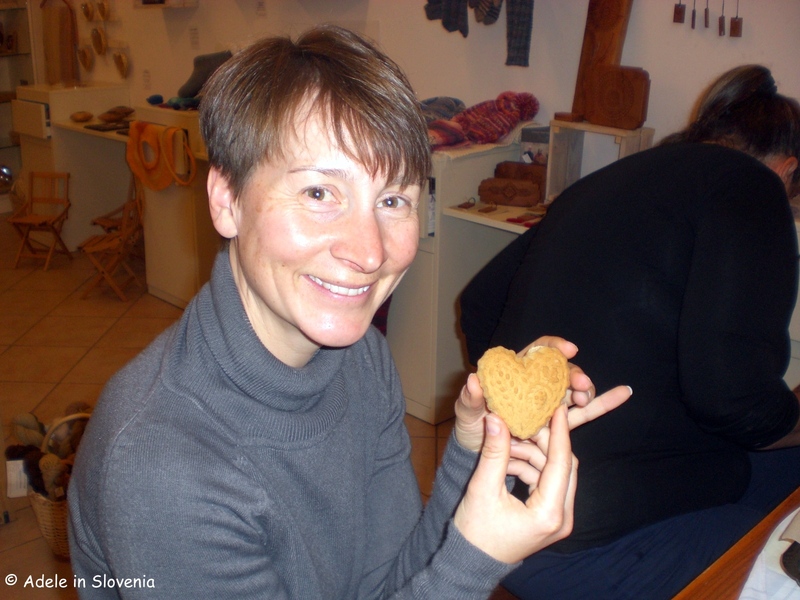 There is a long and rich tradition of making Loški kruhki (little honey breads) in the Škofja Loka area. It dates back to the 14th century when the Clarissa nuns ran a girls school in the town in the building seen below. The nuns introduced and taught locals how to make the honey breads, which they baked mainly for festivals, blessings and other celebrations. 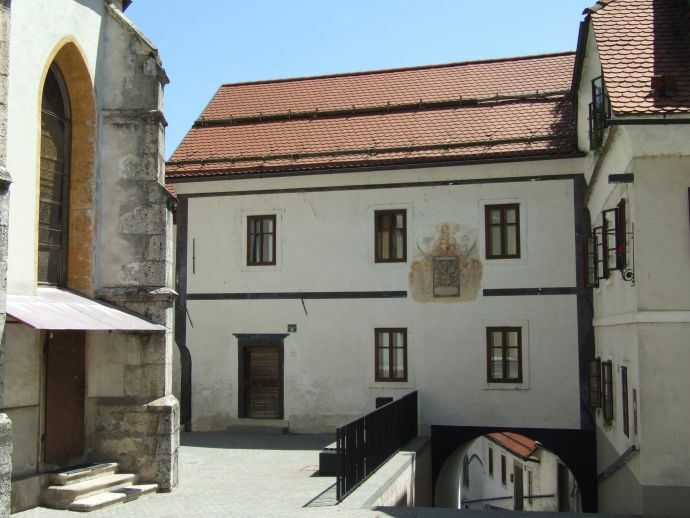 The DUO Arts & Crafts Centre, located in the heart of the medieval old town, showcases the rich handicraft tradition in the area by offering local craftspeople a place to showcase their handicrafts for visitors to browse and/or purchase, and an opportunity for them to present and transfer their skills to future generations. 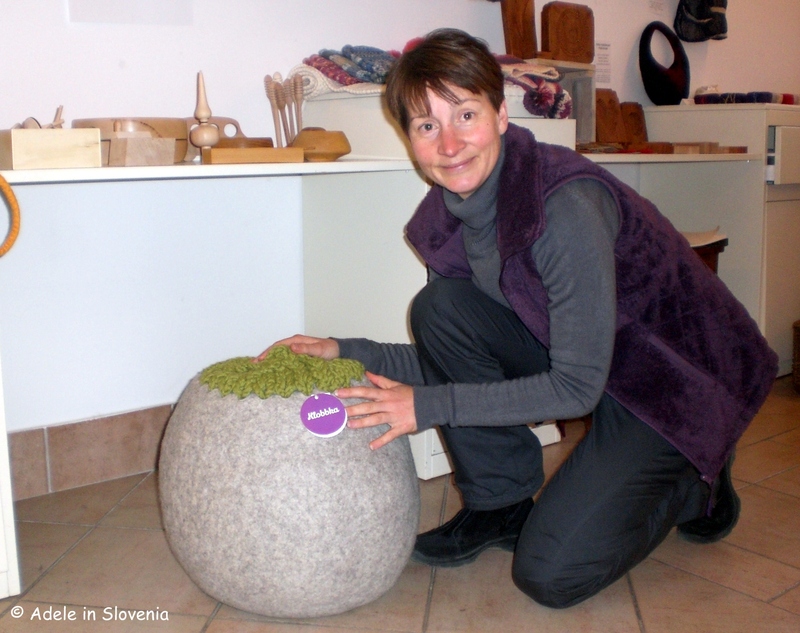 Among the items on show at the DUO Centre are carved wooden products made by the carver Petra Plestenjak Podlogar, who today is the only master craftsperson in Slovenia keeping alive the tradition of making wooden moulds for Škofja Loka honey breads. 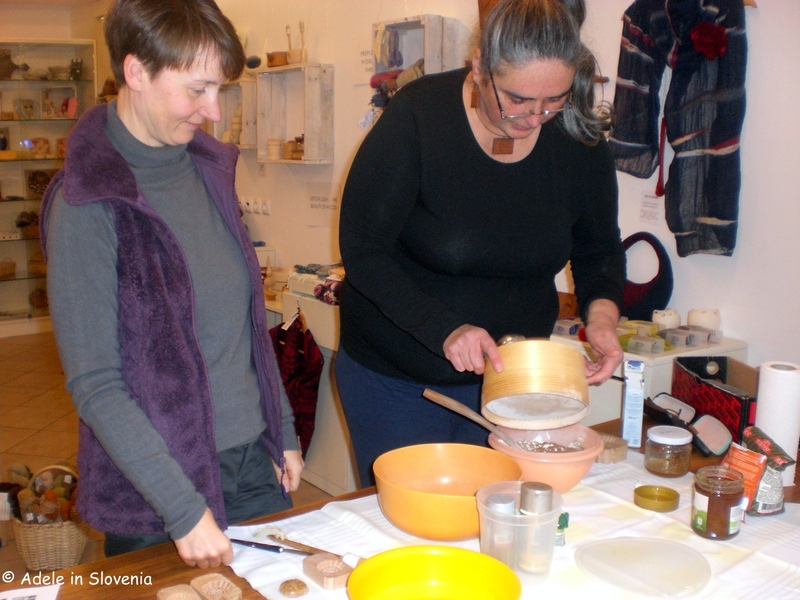 Curious to learn more, and always keen to get hands-on, I recently spent a very pleasant afternoon with Petra at the DUO Centre, learning her insider tips on making the dough for the honey breads and using her wonderfully ornate handcrafted moulds to make my own honey breads to take home. 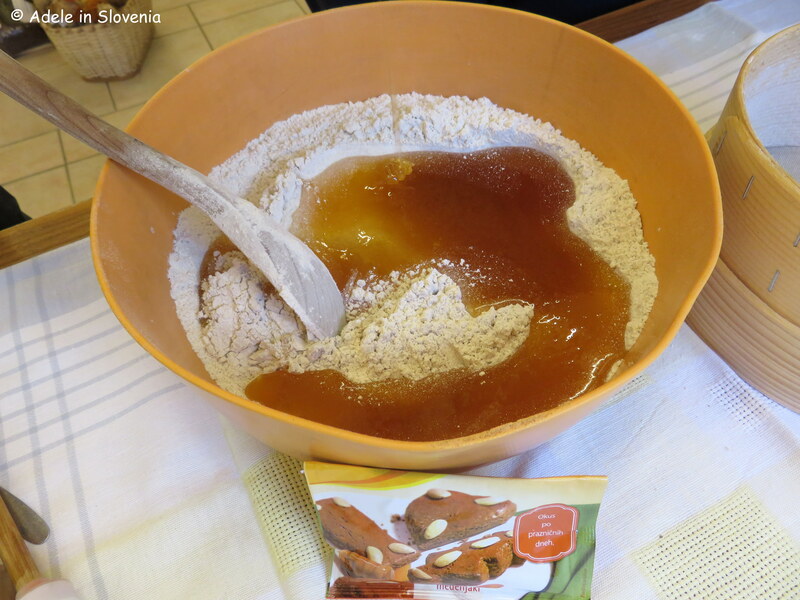 The basic recipe contains a mixture of flours, lashings of Slovenian honey, and selected spices such as cinnamon, pepper and cloves. 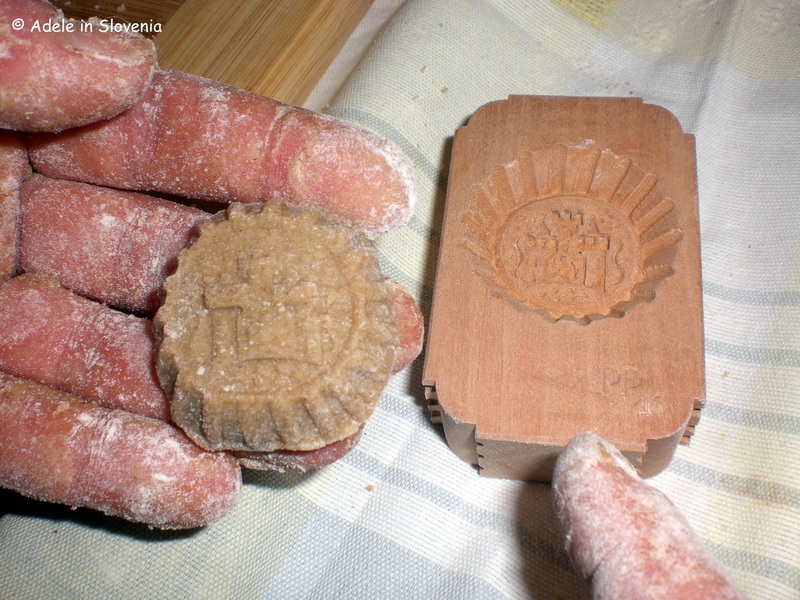 Making the dough is a fairly simple and quick process, then begins the fun part of pressing it into the moulds and choosing which of the many ornate hand-carved moulds to use. 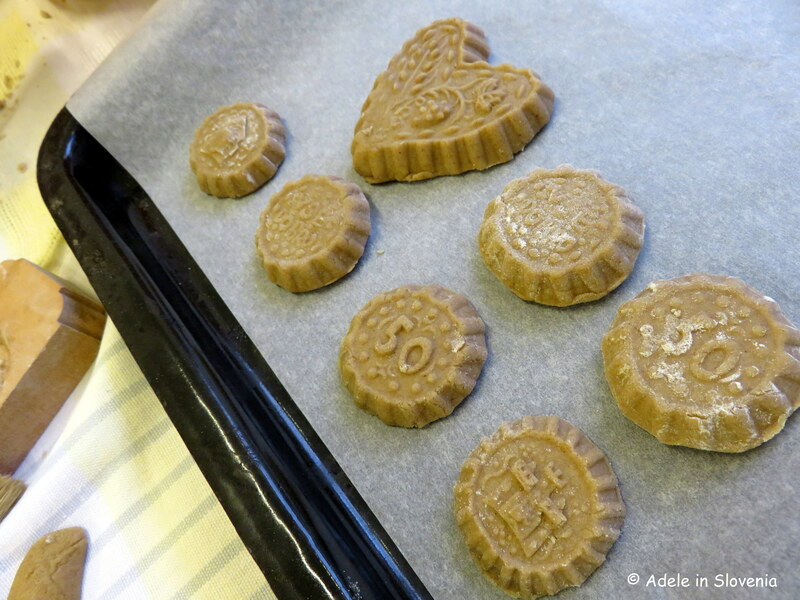 Petra also makes moulds ‘to order’ for special birthdays, anniversaries and other celebrations. The little honey breads, and indeed the hand-carved moulds, make ideal gifts or souvenirs. Once baked, the breads are glazed with (more!) honey to give them a nice sheen. Then, well, I couldn’t resist any longer! The best bit – time to taste them! I know, after all that hard work I/we should take some time to admire the little honey breads before wolfing them down, but we made plenty so a few won’t go amiss. 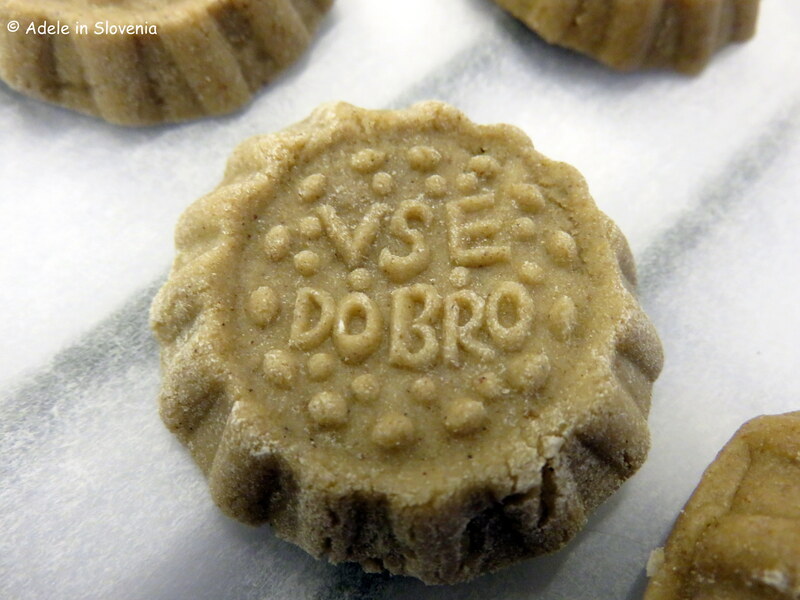 And, as Petra said ‘Poglej in pojej’ – Look then eat! A great motto I say! 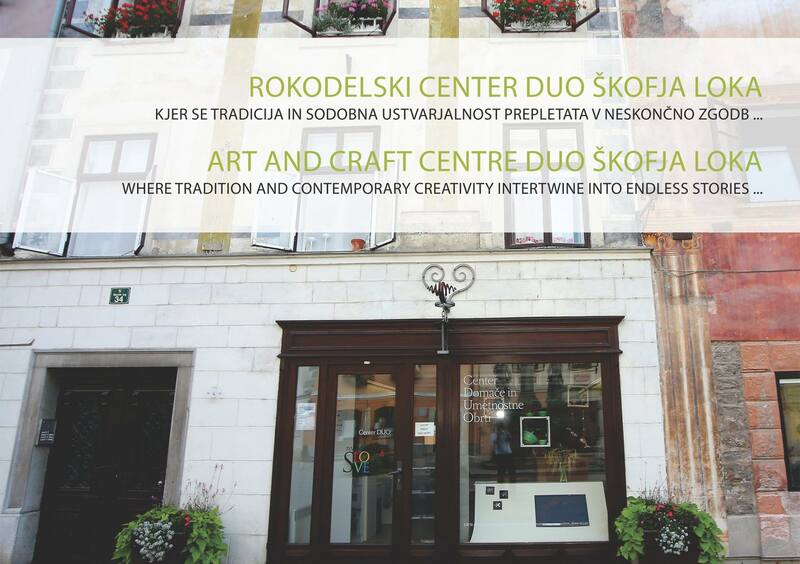 When visiting Škofja Loka be sure to drop into the DUO Centre to browse the range of products available, all of which make excellent gifts or a treat for yourself, and take a piece of Slovenia’s handicraft tradition home. Products include: wooden games and other unique wooden products, clay reliefs, lace products from the A. Primožič House of Bobbin Lace, basketware and wickerwork, tools and other forged-iron implements, felted items, items made from wool and recycled paper, dyed wool, silk and other knitted woolen products, Dražgoše honey breads, crocheted pieces, knitware, products made from rawhide, wood and other raw materials, bags, shoes, hats and other items made using wet-felting, patchwork and glassware. 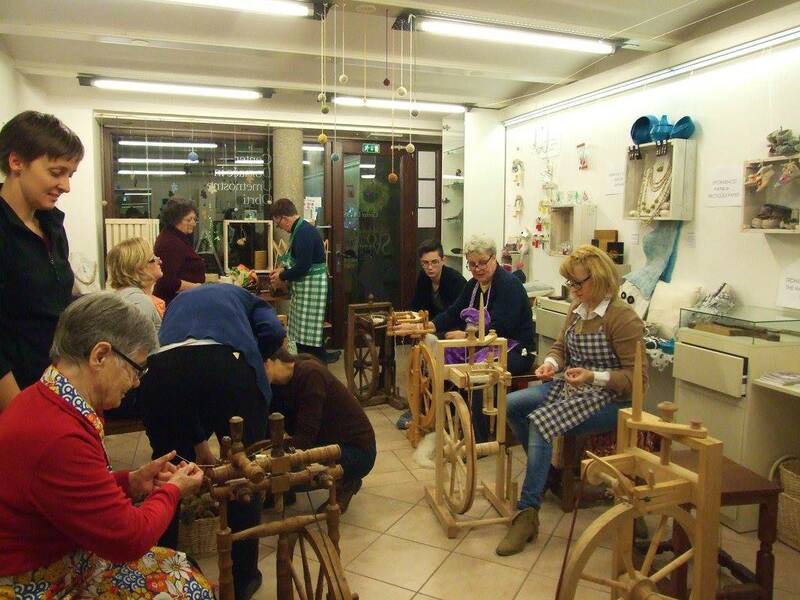 Upon prior arrangement, various workshops can be organised with any of the master craftspeople, where you can learn a new skill, or brush-on existing ones!